Two rabbit hunters discovered human remains while hunting near the Wilson Rock area of the Arkansas River on Christmas Day. 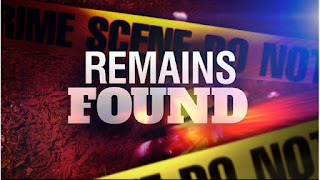 The hunters originally located remains in a brush covered area and then contacted authorities who located more remains during their investigation and search of the area. According to Sequoyah County Sheriff Larry Lane the remains are believed to be that of a single individual. 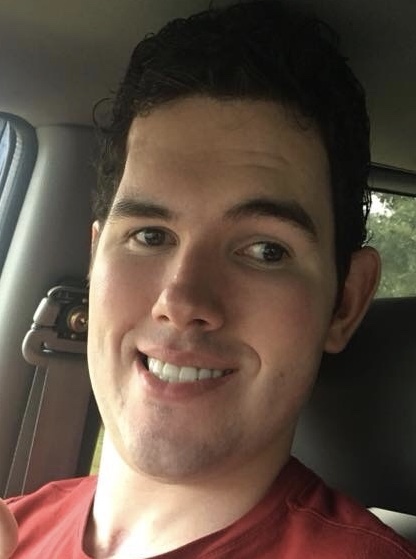 The Sequoyah County Sheriff's Office has requested dental records of an individual missing from the area since 2012 to check for a possible match. "It'll take some time to positively identify through dental records," added Lane. 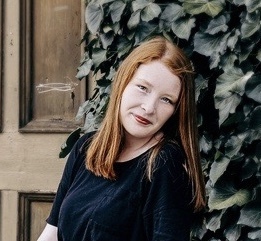 A Sallisaw High School student has been named to the 2019 Student Advisory Council, according to State Superintendent of Public Instruction Joy Hofmeister. Emma Nance of Sallisaw was among the 74 Oklahoma high school students named to Hofmeister’s 2019 Student Advisory Council, the fourth consecutive year the group has been convened to assist Hofmeister and the Oklahoma State Department of Education in matters of policy. The students, nominated by their district superintendents, hail from across Oklahoma and represent rural, urban and suburban schools of all sizes. Nineteen are returning members who have served on the council in previous years. The first meeting of Superintendent Hofmeister’s Student Advisory Council is scheduled for Jan. 31, 2019, at the Oklahoma State Capitol. A 33-year-old Arizona man, allegedly transporting 109 pounds of marijuana in a rental car, was charged in Sequoyah County District Court with trafficking in illegal drugs. Gregory Ryan Seifert of Phoenix, Ariz., entered a not guilty plea to the charge on Dec. 12. He was released on a $25,000 bond on Dec. 9. His next court appearance is set for Jan. 23 on the felony disposition docket. According to the arresting Roland police officer’s report, filed with the charges, on Dec. 7 he spotted a gray Chrysler traveling at about 75 miles per hour eastbound on Interstate 40. The officer stopped the car, and during the interview with the driver, Seifert, he noted Seifert appeared nervous. According to the report, the officer then ran his drug dog on the car and the dog alerted to the driver’s and passenger’s sides of the car. The officer reported a search of the car uncovered 91 vacuumed sealed bags containing a green, leafy substance. The combined total of bags was 109 pounds of a substance believed to be marijuana. The bags were photographed and sent to the OSBI lab for further testing. 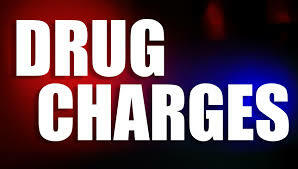 The charges carry a punishment of four years to life imprisonment and a fine of up to $50,000. Gray Sentenced in ATV Case; Mayberry Asks "Why?" 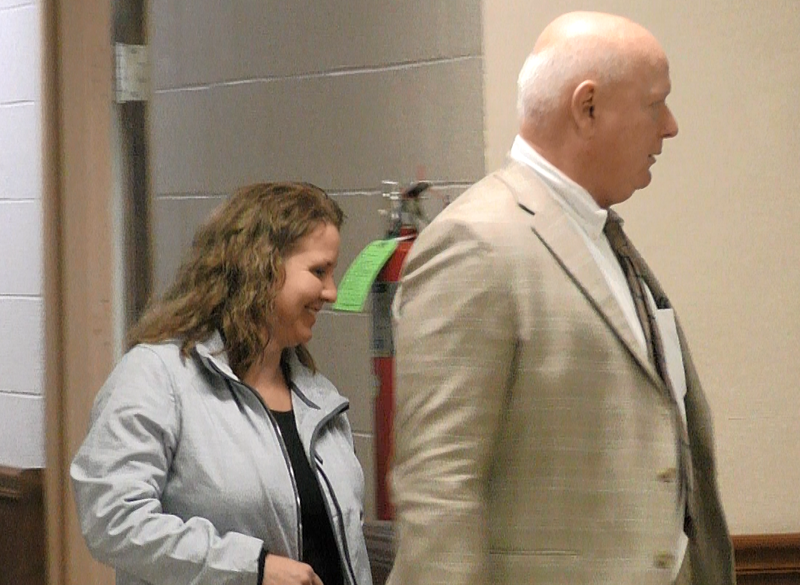 A Muldrow woman was sentenced today in Sequoyah County District Court in Sallisaw for the 2013 ATV crash that left a Muldrow teen with a traumatic brain injury. After pleading no contest to a conspiracy charge last week in the case as part of a plea deal, Angela Gray was given a five-year deferred sentence by District Judge Jeff Payton. Gray was charged after a Sept. 1, 2013 ATV crash which left Christian Mayberry, 16 at the time, with a traumatic brain injury and partially paralyzed. Michelle Keely, assistant district attorney for District 27, said the sentence carries with it a list of rules and conditions to which Gray must comply until Dec. 20, 2023. Keely said if Gray violates any of the rules and conditions of probation, the judge would then have several options available, including placing her in custody of the Department of Corrections to serve up to the maximum 10 years for the conspiracy charge. The sentence came after emotional victims’ impact statements by JoNell Van Fleet, Christian’s grandmother; Kim Mayberry, Christian’s mother, and Christian Mayberry himself, now 21. During her statement, Kim Mayberry relived the past five years of hospitals, therapy and suicide attempts. She asked Gray to put herself in her shoes, to imagine if these things had been done to her own son. Kim Mayberry said every single day, she hears her son’s prayers – and they include Gray. “He always prays for everyone, including you and Joey,” Kim Mayberry said, her voice breaking as she looked at Gray across the courtroom. “He prays God will give him a brand new brain, perfect vision, to get his driver’s license, a car, to get a job and a girlfriend. “Christian and my family were given a life sentence that day (of the accident). Seems to me with you, that night was an inconvenience, showing zero remorse, no apology, no remorse for any of it. You go on as if it never happened. Our life has been devastatingly changed forever. So I did forgive you. It’s the hardest thing I’ve ever done,” she added. “I want to challenge you to make yourself better. You’ve been given a second chance; in my opinion, you need to take it and try,” Kim Mayberry said to Gray, who slightly nodded her head in response. “Why would you leave me there for three hours before calling people to help me? How could you do such a thing to me? To anyone? Why, Angela?” Christian Mayberry questioned after being escorted into the courtroom by sheriff’s deputies, but walking on his own. Gray is accused of participating in the ATV crash on Sept. 1, 2013, south of Muldrow which left Christian Mayberry, 16 at the time, with severe brain trauma. Gray and two males, one of whom is her son, Joey Gray, were accused of covering up the crash while Mayberry laid nearby without medical help. The trial on those earlier charges ended in a mistrial when the jury could not agree on a verdict. The Mayberry family is available to share Christian’s testimony; any pastors or churches interested in having them speak should reach them through the Pray for Mayberry Facebook page. Keely said the conspiracy charges against Joey Gray and Kyle Brannon are still pending, at this time. “I hope the family will be able to move on from here,” Keely added. On Monday, Gov. Mary Fallin, in partnership with the Cherokee Nation and Cherokee County, requested a U.S. Small Business Administration disaster declaration to assist those impacted by tornadoes, severe storms, and straight-line winds that occurred Nov. 30. 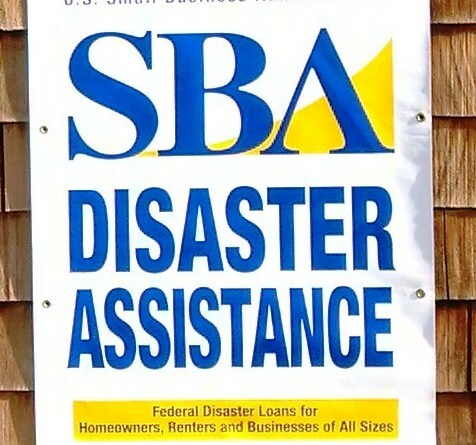 If approved, the governor’s request would bring SBA low-interest disaster loans for homeowners, renters, and business owners in Cherokee Nation to repair or replace any property damaged by the storm that was not covered by insurance. The loan program would also be available to assist businesses that sustained economic losses due to the storm. Under SBA rules, counties contiguous to Cherokee County would also be eligible for assistance, including Adair, Delaware, and Sequoyah counties, where additional tornado damage was reported. Rutherford was still compiling damage assessments for Sequoyah County. Damage assessments found more than 90 homes and businesses affected by the storm in Cherokee County. 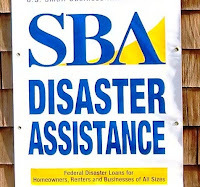 Of those, 58 homes and businesses with major damage were identified as uninsured and may be eligible for SBA’s program. The National Weather Service in Tulsa reported the Webbers Falls and Lake Tenkiller tornadoes were on the ground for more than an hour and traveled a combined 54 miles from Muskogee County to Delaware County. At least 119 homes and businesses were affected by the storm across the five-county area. 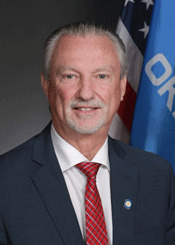 Oklahoma House Speaker Charles McCall on Tuesday announced the chairs and vice chairs for the standing House committees and appropriation subcommittees of the 57th Oklahoma Legislature. In addition, McCall named the assistant floor leaders and assistant whips. The list includes Sequoyah County’s new state representatives Jim Olsen (R-Roland) and Randy Randleman (R-Eufaula). Olsen will serve as an assistant whip on the Whip Team and Randleman was appointed vice chairman of the A&B Human Services Subcommittee. Cherokee Nation District Judge T. Luke Barteaux, left, administers the oath of office to Supreme Court Chief Justice John C. Garrett as his wife, Debbie Garrett, holds the Bible. The Cherokee Nation Tribal Council unanimously confirmed the reappointment of Chief Justice John C. Garrett to the Cherokee Nation Supreme Court on Monday. Garrett was sworn in by Cherokee Nation District Judge T. Luke Barteaux immediately following his reappointment. Garrett’s new term on the five-member Supreme Court is a 10-year term. 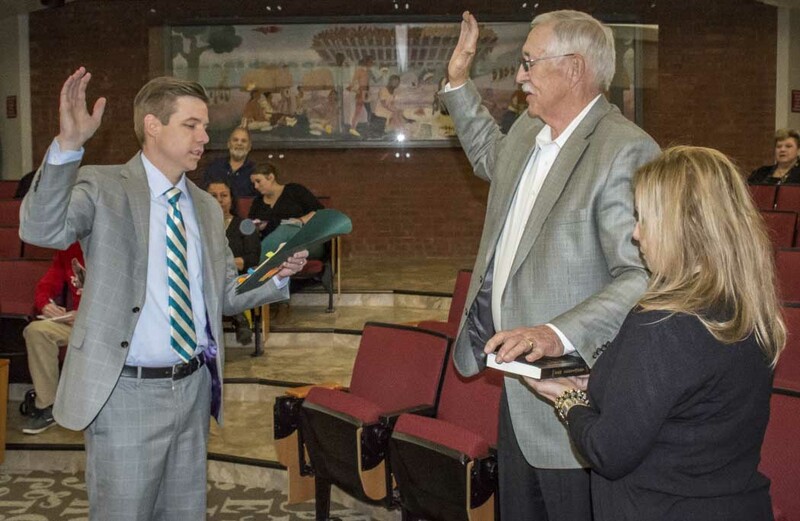 Garrett has served on the Cherokee Nation Supreme Court since 2012, when he was nominated by Principal Chief Bill John Baker and confirmed by the Tribal Council to fill a vacancy. Garrett served as a district court judge, overseeing cases in Sequoyah County District Court, for many years before not seeking re-election. Garrett has served as a judge in municipal, state and tribal capacities for more than 40 years. He is a graduate of the University of Oklahoma and the College of Law at the University of Tulsa. Tribal Councilors also passed a resolution commending Oklahoma Attorney General Mike Hunter for successfully urging the Vian Public School Board to change its policy so Cherokee students can wear eagle feathers on graduation regalia. Hunter’s office joined the Cherokee Nation in encouraging the change after William Christie, a Cherokee student in Vian, was prohibited from wearing an eagle feather during his graduation ceremony in 2018. Christie’s family later asked the school board to reconsider its policy so William’s sister, Natalie, can wear her eagle feather when she graduates in 2019. In his letter to Vian school officials, Hunter cited state law as generally requiring public schools to allow Cherokee students to wear eagle feathers during important events such as graduations. Under federal law, possession of an eagle feather is prohibited, though tribal citizens can request permission to possess one for religious or spiritual reasons. The day that the Mayberry family of Muldrow has both looked forward to and dreaded finally arrives tomorrow. Christian Mayberry, his mother, Kim Mayberry and his grandmother Jonell Van Fleet will each be given the opportunity to stand and read a Victim Impact Statement at Angela Gray's Dec. 20 sentencing hearing. A victim impact statement is a written or oral statement presented to the court at the time of sentencing of a defendant. It typically contains a victim's description of how they have been affected physically, emotionally, and/or financially by the crime committed by the defendant. It's intended to give victims of crime a voice in the criminal justice system. This will be the first time since the ATV accident that occurred in 2013 that the Mayberry's have addressed Gray in court. "It has been a very long five plus years and we are looking forward to finally getting this behind us," stated Kim Mayberry. Christian is also ready to have his day, and his say, in court. The hearing will be begin at 10 a.m. in the Sequoyah County Courthouse and is an open hearing. "It would be wonderful if Christian's friends and supporters in the community showed up for him. He would absolutely draw strength from their presence," added Kim. Gray, also of Muldrow, is accused of participating in the ATV crash on Sept. 1, 2013, south of Muldrow, which left Christian Mayberry, 16 at the time, with severe brain trauma. Gray, along with two males who were juveniles at the time of the accident, one of whom is her son, were accused of covering up the crash while Mayberry lay nearby without medical help. On Dec. 10, in Sequoyah County District Court, Gray entered a no-contest plea for Count 1, which was the conspiracy charge, before District Judge Jeff Payton. Counts 2 and 3 -- child endangerment by driving under the influence and selling or furnishing alcoholic beverage to a minor, respectively, – were dismissed by the state as part of the plea deal, according to Michelle Keely, assistant district attorney with the District Attorney Jack Thorp’s District 27 office. Sallisaw will be one of only two eastern Oklahoma cities to host a Thunder Holiday Assist Blood Drive, according to the Oklahoma Blood Institute. The Oklahoma City Thunder and OBI are urging Oklahomans to "Thunder Up" to save lives during the 11th annual Holiday Assist Blood Drives at various locations statewide next Thursday. 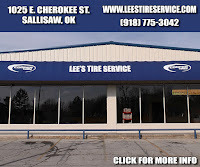 The Sallisaw Civic Center, at 111 N. Elm St., will host the Sallisaw drive from 11:30 a.m. to 6 p.m. Thursday, Dec. 27. Greg Womack with OBI said Sallisaw was fortunate to be one of only two cities in eastern Oklahoma -- along with Poteau -- to host a Thunder Holiday Assist Blood Drive and help replenish the blood supply in this area. 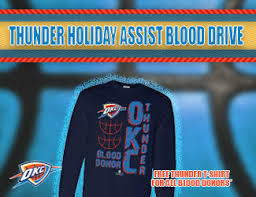 The Thunder Holiday Assist blood drives will take place at eight different locations throughout the state next week. Donors receive a collectible, limited-edition T-shirt and one lucky donor will win a pair of lower-level tickets to a Thunder home game and a one-night hotel stay if winner is outside of Oklahoma City. Appointments are not required, but can be made by calling Womack at 479-652-2362 or visiting obi.org. With the holidays approaching next week, only a few days remain to get packages in the mail in order to arrive by Christmas Day. Deadlines for packages shipped in the U.S. through the U.S. Postal Service are Dec. 20 for first class and priority mail service; the deadline is Dec. 22 if using the priority mail express service. Those deadlines are also applicable for holiday cards and letters, according to the USPS. The U.S. 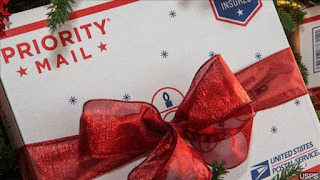 Postal Inspection Service, the federal law enforcement arm of the USPS, is working around the clock to keep the more than 15 billion mail pieces expected to be mailed this holiday season safe. But, officials say, package senders and recipients can help. Don’t leave delivered mail and packages unattended. Just as wallets and purses shouldn’t be left on the front seat of an unlocked car overnight, mail and packages shouldn’t be left uncollected in mailboxes or on front porches for any length of time. Going out of town? Hold mail at the local Post Office. If you’re planning on being away from home for a few days, instead of risking leaving a package unattended for an extended period of time, take advantage of the USPS Hold Mail service. Letters and packages will be held securely at the local Post Office until you return. Plan ahead. Ship using Hold for Pickup. When shipping packages, you can choose the Hold for Pickup option, and the recipients can collect the packages at their local Post Office. If you’re receiving packages, you can redirect incoming packages to your local Post Office by selecting Hold for Pickup using USPS Package Intercept. Customize the delivery. If the package doesn’t fit in your mailbox and you won’t be home to receive it, you can provide delivery instructions online and authorize the carrier to leave it in a specified location. Visit www.usps.com, enter the tracking number and select Delivery Instructions. Secure the shipment using USPS Special Services. Signature Confirmation helps ensure the package ends up in the right hands by requiring a signature at the time of delivery. For the most valuable packages, customers can opt for Registered Mail service. Registered Mail receives special handling from the time it’s mailed until it’s delivered, documenting the chain of custody. Additionally, if you notice an unfamiliar vehicle following behind a USPS truck or unknown persons loitering around mailboxes, report the activity to your local police department immediately, and then call the U.S. Postal Inspection Service at 877-876-2455. If you feel that you are a victim of a crime involving the mail, you may submit an online complaint, by visiting www.USPS.com, and selecting the Postal Inspectors link at the bottom of the page. Angels are still available for the third annual Forever Memories Angel Tree project. Carolyn Bridges of Forever Memories said the funeral service still has about 25 unclaimed Angel tags available out of the 75 angel tags that needed fulfilling this year, all for gifts for children ages 17 and under from the Sallisaw community. 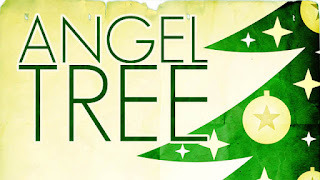 This is the third year Forever Memories has had an Angel Tree. “The owners feel it is important to take care of the community, and that everyone gets something for Christmas,” Bridges said. Bridges said these 25 Angel tags need to be filled and the gifts returned to Forever Memories by this Friday, Dec. 21. 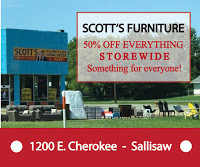 You can pick up your angel at Forever Memories, at 463505 Highway 101 in Sallisaw, or by calling 918-775-2222. The U.S. Attorney’s Office in Muskogee announced last week the results of the December 2018 Federal Grand Jury. Among those indicted was Eremy Lee Poafpybitty, also known as Chooch. Poafpybitty, 33, is from Bunch, and was indicted for assaulting a U.S. Postal employee with a deadly and dangerous weapon. The Indictment alleges that on or about July 24, the defendant, did knowingly, intentionally, and forcibly, with the use of a deadly and dangerous weapon- a knife- assault, oppose, impede, intimidate, and interfere with and did inflict bodily injury to an employee of the U.S. Postal Service while in and on account of the performance of official duties. The crime is punishable by not more than 20 years imprisonment, a fine up to $250,000 or both. 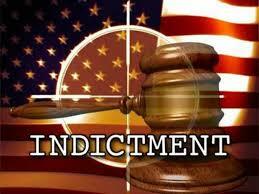 The charges arose from an investigation by the U.S. Postal Inspection Service. Donnie Poindexter of Sallisaw was awarded the International Western Music Association (IWMA) Year award for Pure Cowboy Song of the Year. 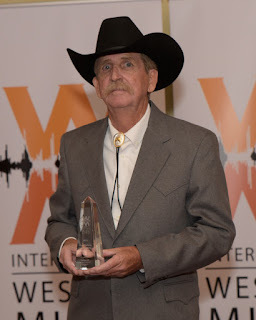 The IWMA Awards are an opportunity for the association to recognize those members who have shown the greatest competence in recordings or concerts and in taking the genre of Western Music and Poetry to the public. IWMA is an organization that encourages and supports the preservation, performance and composition of historic, traditional and contemporary music and poetry of The American West. IWMA was founded in 1989. 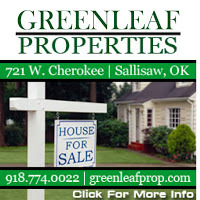 RoseRock Estates will host Photos with The Grinch from 10 a.m. to 3 p.m. this Saturday at 106 No Name St. in Sallisaw. To have your photo taken with The Grinch, bring three nonperishable food items per household. 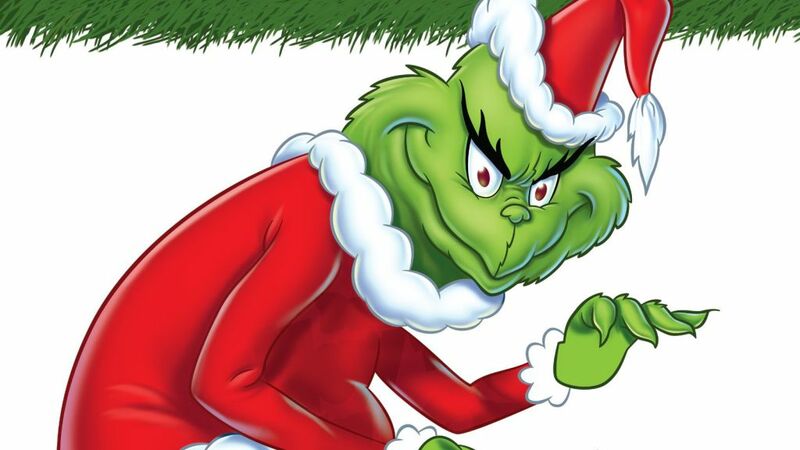 Each person having a photo taken with The Grinch will be entered into a drawing for four tickets to see “The Grinch” movie – two adult tickets and two minor tickets. For information, call RoseRock Estates at 918-775-6581. As the holiday season approaches, it usually means travel for many Oklahomans. 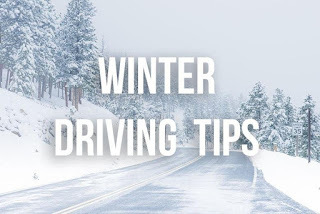 Holiday travel may often occur during potentially dangerous winter weather conditions. The Oklahoma State Department of Health encourages the public to begin preparation for the upcoming holiday travel season. Proper planning can reduce the risk of injury and illness while also ensuring a family is prepared for a major winter weather event. OSDH Emergency Manager Darrell Eberly reminds travelers to check local television and radio reports of weather forecasts prior to making travel plans, and to know what the National Weather Service winter storm and blizzard watches and warnings mean by visiting www.nws.noaa.gov . Officials also recommend keeping the vehicle’s fuel tank full to avoid ice in the tank and fuel lines. 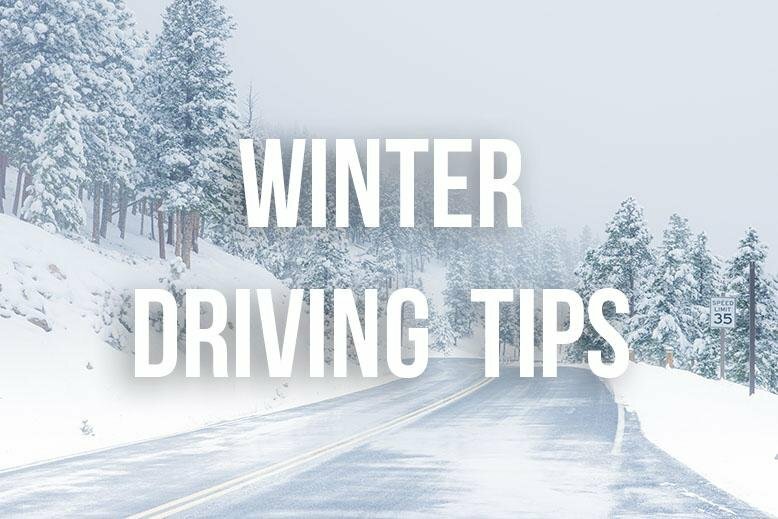 For travelers who become stranded, it is recommended to stay visible by putting a bright cloth on the antenna, and raising the hood when snow stops falling. Tune to KXMX The Mix 105.1 for current, local weather and road conditions or visit our Facebook page for updates. 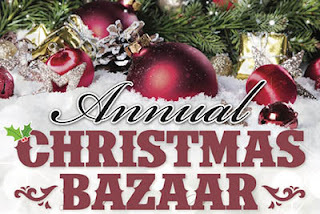 The annual Hospice Christmas Bazaar, hosted by Peters Agency Hospice and Palliative Care, is slated from 10 a.m. to 4 p.m. this Friday at the Sequoyah County Fairgrounds on East Redwood Street in Sallisaw. Peters Agency staff invite guests to join them for hot chocolate and cookies as they shop and visit with them and other vendors from the community. Entertainment will be provided, and door prizes will be given. Proceeds will go to the care of Peters Agency’s hospice patients. For information or to set up a vendor booth, call the Peters Agency at 918-775-6555. 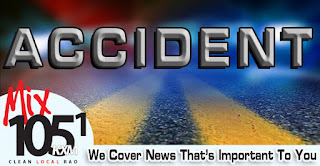 An accident near Roland Tuesday evening resulted in one person being airlifted to a Tulsa hospital. Dee Kinchen, 54, of North Little Rock, Ark., was driving a 2005 Lexus westbound on I-40 at approximately 7:30 p.m. Tuesday near mile marker 330, about three miles east of Roland. According to the Oklahoma Highway Patrol, she attempted to pass a 2017 Dodge Ram 3500, driven by Justin Dix, 33, of McCrory, Ark. 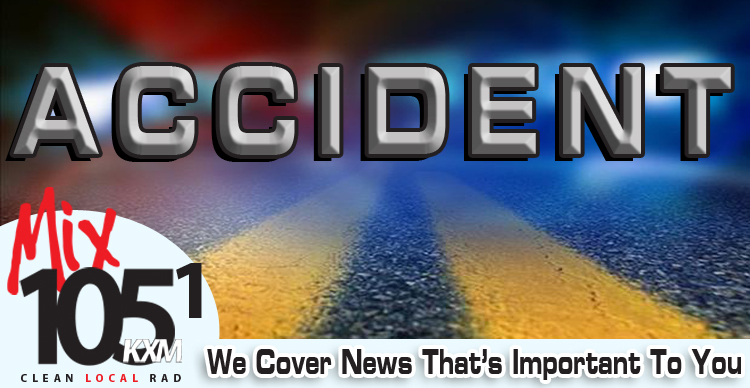 The OHP reports that the Lexus entered the slow lane, striking the truck in the rear. Kinchen then departed the roadway to the left in the Lexus, traveling through the ditch and hitting a tree. Kinchen was airlifted to St. Francis Hospital in Tulsa and was admitted in stable condition with head and arm injuries. Dix was not injured in the accident. OHP was assisted by Pafford EMS and Tulsa Life Flight. The OHP reports that seatbelts were in use in both vehicles. The cause of the collision is still under investigation.